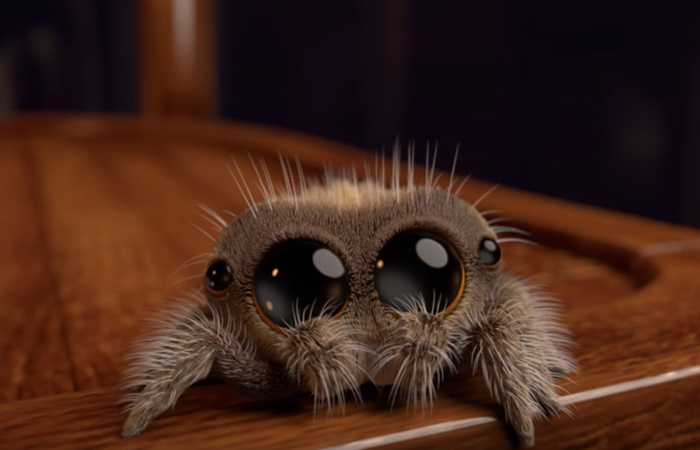 Meet Lucas, the world’s cutest spider who will cure your phobia once and for all! The Laugh Bible » Internet » Meet Lucas, the world’s cutest spider who will cure your phobia once and for all! I really don’t like spiders or insects. Just thinking about them makes my skin crawl. But now I’ve finally found one that I actually like! You’re gonna love this one, even if you hate spiders and suffer from arachnophobia. Animator Joshua Slice has animated the short clip below, with his nephew Lucas doing the voice acting. The result is amazing and impossibly adorable! I think they should definitely base a movie on this little character in the vein of Finding Nemo. “This is an animation test of a character I’ve been working on. I’m responsible for the design, modeling, rigging, animation, lighting and rendering,” Slice writes. Watch the short clip below and I’m sure you’ll love it too! Are you scared to death by spiders? Then you’re not alone. Arachnophobia is one of the world’s most widespread phobias. But there are ways to cure it – and maybe Lucas the spider can help you on the way? The most common method to cure phobias is called exposure therapy. Here you’re gradually exposed to the thing you’re afraid of, and by slowly and gradually increasing the intensity, you’re eventually able to more or less get rid of your fear altogether. Exciting research is being conducted on whether Virtual Reality can help cure phobias. This uses the same principle as the normal therapy, but instead of using real spiders, the patient gets to face the spiders in a virtual environment. “We don’t know if VR spiders or real spiders work best when it comes to curing fear of spiders. That’s why we’re conducting this study,” says Per Carlbring, professor in psychology at Stockholm university, Sweden. Lucas is still just a cute little character on the internet, and is not a part of any therapy. But all kinds of mild exposure will help! Personally, I really hope that Virtual Reality will help cure my fear of spiders. I do know one thing for sure – I’ll take Lucas the spider over a real spider any day of the week! Share this article to help your friends who have a fear of spiders!